Compare and map your listings. Whether you are buying or selling a home, our goal is to provide you with the service that exceeds your expectations. Our experienced and professional Realtors® serve northwestern Wisconsin including Eau Claire, Chippewa Falls, Menomonie, Rice Lake, and the surrounding communities. 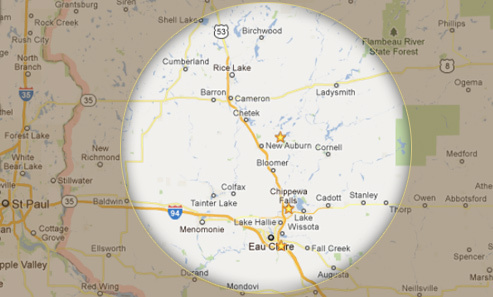 With office locations in Eau Claire, Chippewa Falls, New Auburn, and Bloomer, we are the largest locally-owned real estate companies in our region. Contact one of our Wisconsin Realty Offices. The data relating to real estate for sale on this web site comes in part from the Internet Data Exchange program of the Northwestern Wisconsin MLS. Real estate listings held by brokerage firms other than Woods & Water Realty, Inc. are marked with the Northwestern Wisconsin MLS icon. The information, provided by seller, listing broker and other parties, may not have been verified. Information is deemed reliable but is not guaranteed.